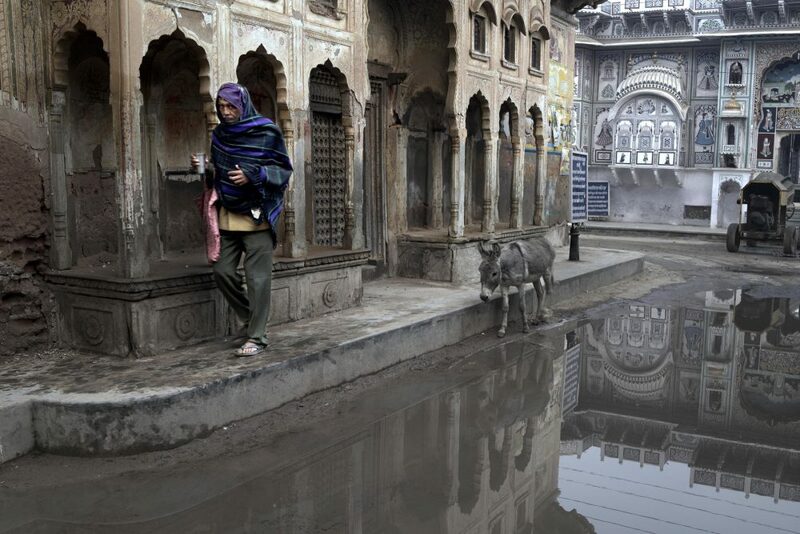 A flooded street in Fathepur mirrors the traditional ochre walls of an abandoned haveli alongside acrylic paintings on a newly-renovated building. David Zurick is an educator and a self-taught photographer who does in this cleverly done book (quite some pondering must have gone into arranging the photographs so felicitously) what I wish more photographers would do – he describes how, and into what mood, he was approaching what he came to photograph. The chapter “The Desert” starts like this: “The Bikaner Express left the Delhi railway station before dawn and arrived four hours later at Churu Junction. 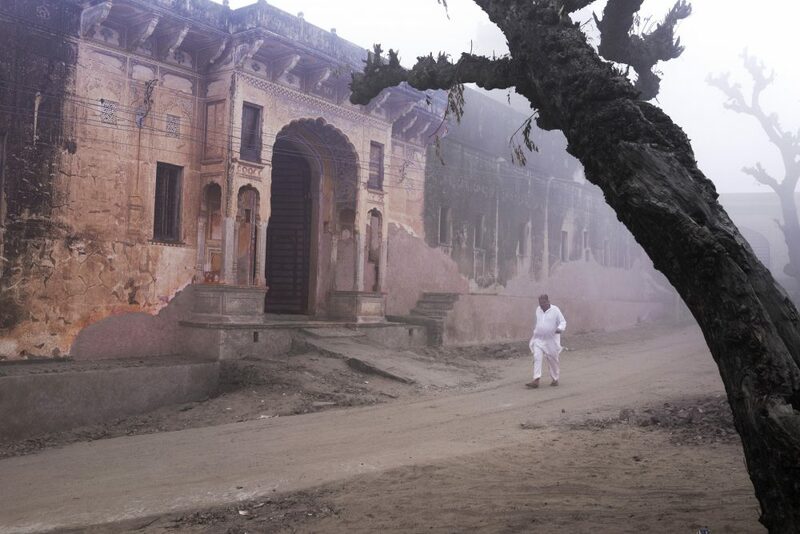 I barely had time to collect my luggage and hop off the carriage before the locomotive sped away again on its journey across Rajasthan …” In addition, he gives an account of the landscape (he’s an academically trained geographer, after all) – information that help one to imagine aspects that photographs alone cannot convey. A Fantastic State of Ruin does not elaborate on what made David visit The Painted Towns of Rajasthan yet one might assume that he wanted to document what “might not be around for much longer.” Needless to say, the beautiful havelis (mansions), frescoes, and wall murals are reason enough although I keep on wondering how (India is a very vast country) he became aware of the Shekhawati region of Rajasthan. Anyway, I’m glad he did and that the people at Goff Books decided to publish this superb book. What I like most about A Fantastic State of Ruin is the meditative calm it radiates. That has most probably also to do with the fact that quite some photographs were taken on misty winter mornings. 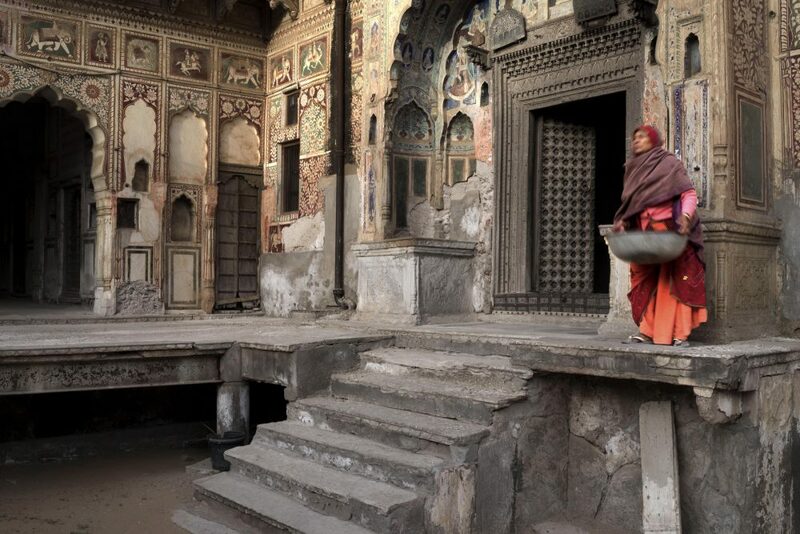 Another contributing factor is the seeming unpretentiousness of the people portrayed – on pages 100/101, one sees a mural of a woman in a sari on the one page and a photograph of a somewhat similarly looking woman on the other page. I’m reading this as a document of timelessness – and that, to me, is meditation. 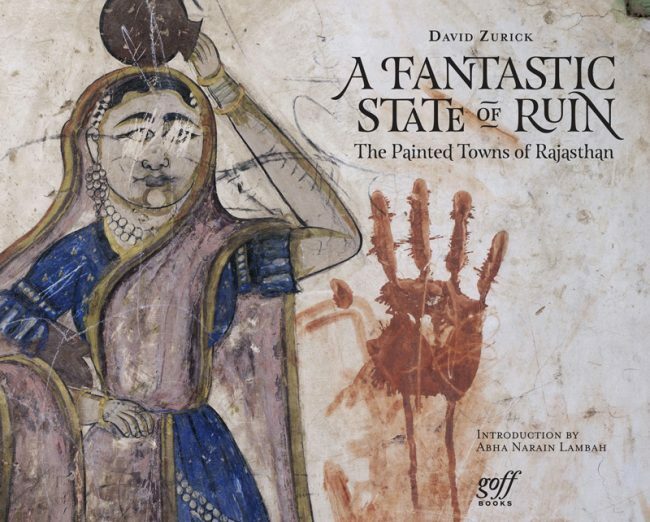 A Fantastic State of Ruin is at the same time a convincing document of the unique painted towns of Shekhawati and an invitation to visualise timelessness.